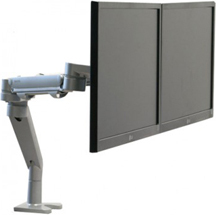 Workrite Monitor arms can be used with either fixed height or adjustable height workcenters and are an excellent way to achieve the optimal level of adjustability recommended by ergonomists. 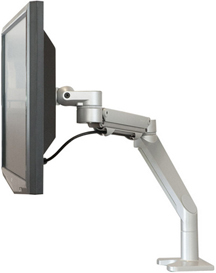 When used appropriately, they can help workers avoid the development of musculoskeletal disorders (MSD), aid in the management of existing MSD, and help alleviate eye strain associated with long hours of computer use in the office. 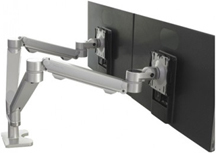 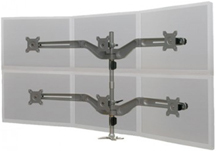 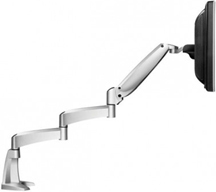 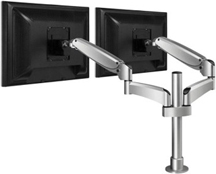 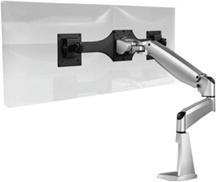 Workrite adjustable monitor arms enable users to maintain neutral position of their shoulders, neck and back by allowing them to position their computer screen in the perfect location and angle for their height and the type of task they are performing. 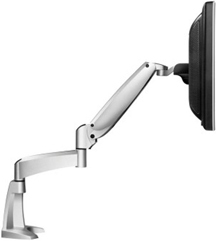 This adjustability is especially beneficial to users who wear corrective multi-focal lenses.